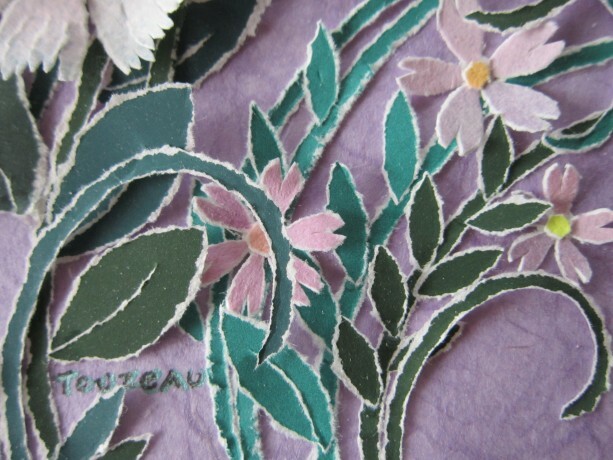 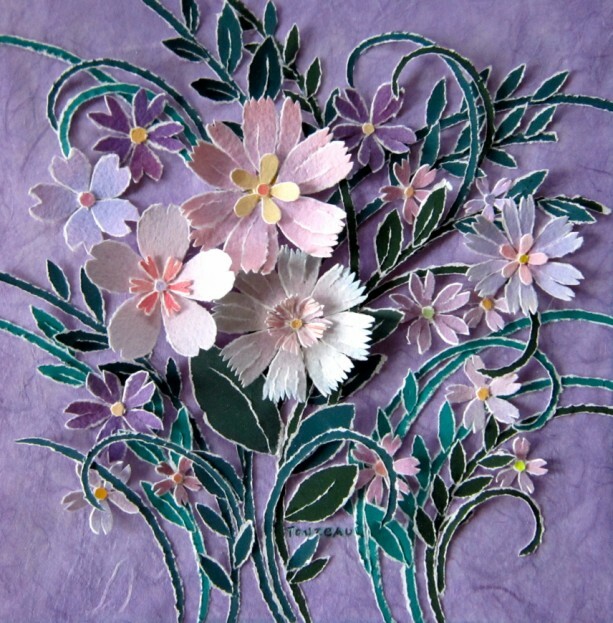 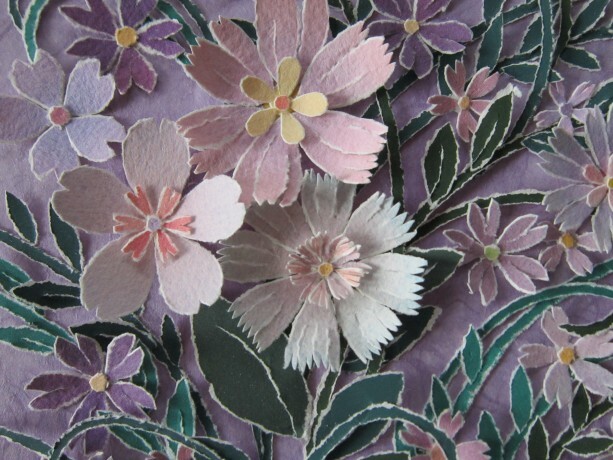 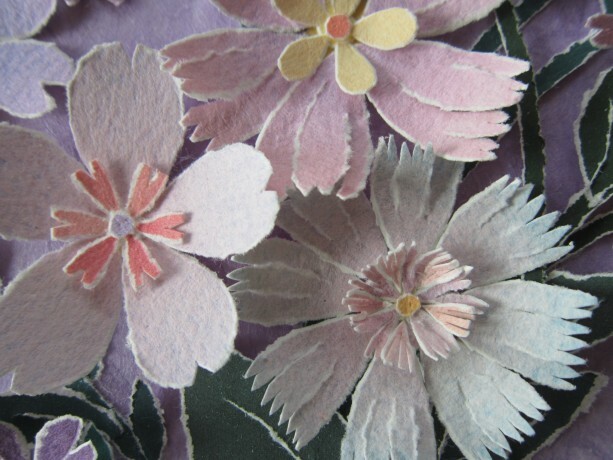 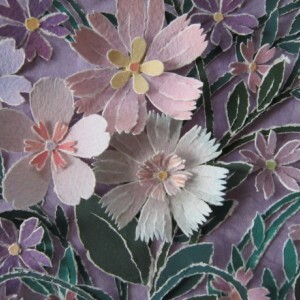 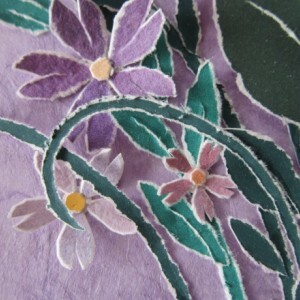 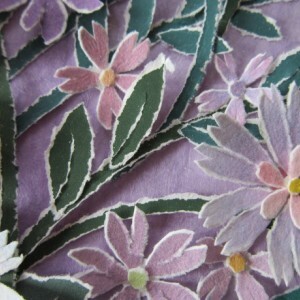 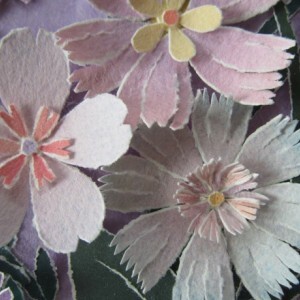 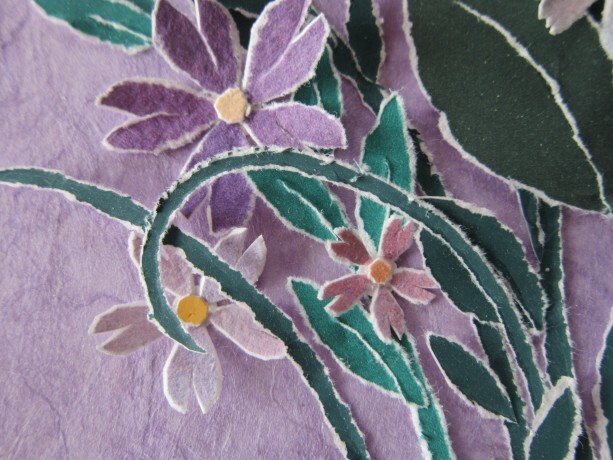 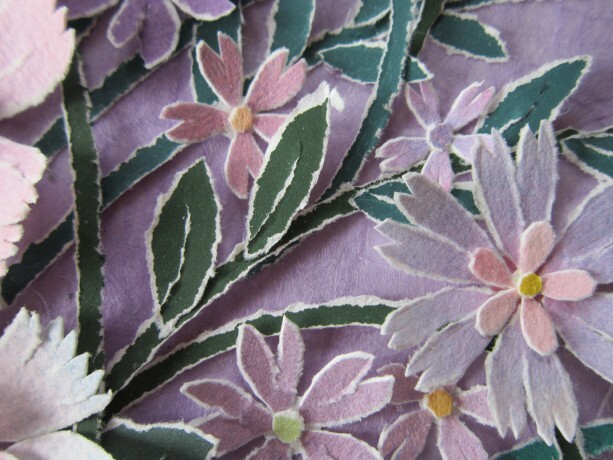 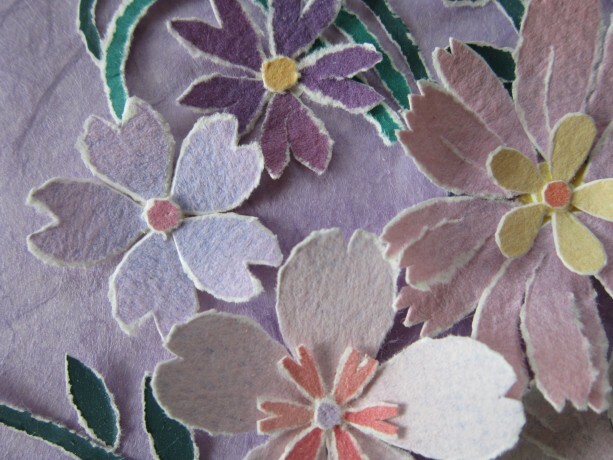 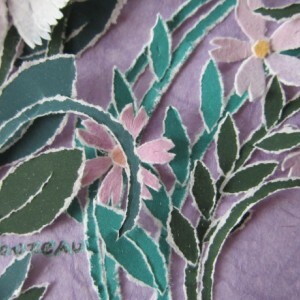 Delicate flowers in pale pink and lavendar are made by hand, torn from paper painted with watercolor washes. 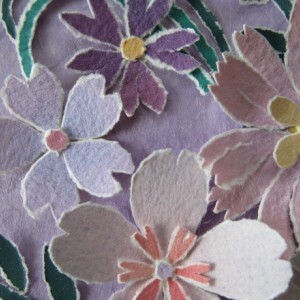 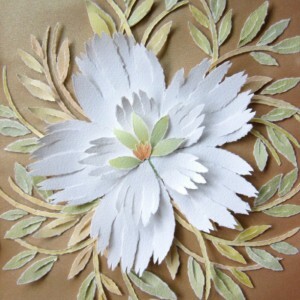 The flowers are arranged together with leaves and stems, torn from printed pantone paper. 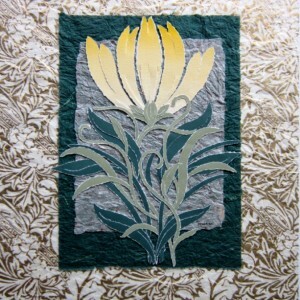 This piece is 7 X 7 inches.